I've begun updating the aging templates on my site. I'm not a programmer, and only touch these templates every so often so finding where a particular bit of code is coming from can be a hair puller. This product make it easy to toggle on comments which help identify where the blocks of code I can see on the rendered HTML originate. That makes it an indispensable tool in my tool box. It's 3:00 AM and you're on deadline...do you know where that errant code is coming from? 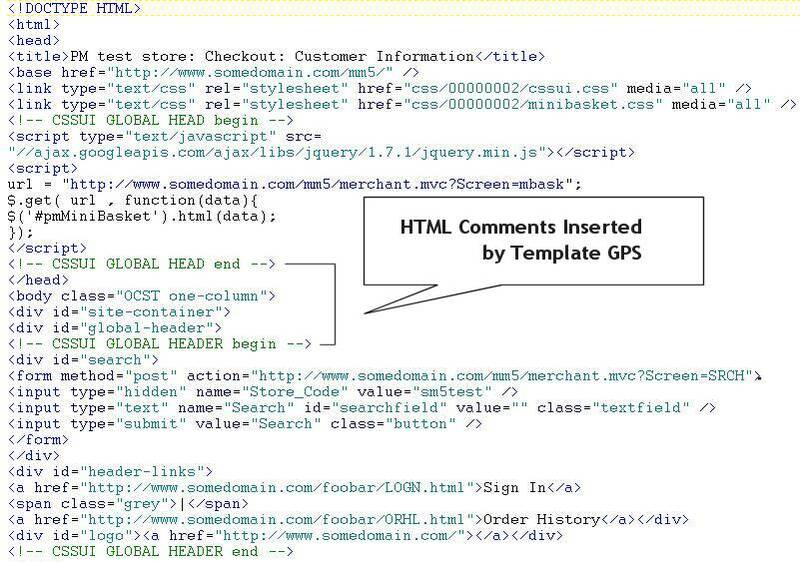 When you finish your late night coding task, or if your store's running just fine, you can have Template GPS remove the HTML comments if desired. (They don't really effect anything, but they do add a few more bytes to the output). Template GPS is always ready to put them back in with a single click. Template GPS automatically locates all editable Merchant templates. It even pulls in most 3rd party templates too. However, we also have an easy Add Template feature if Template GPS doesn't automatically pickup the templates from your favorite 3rd Party module. 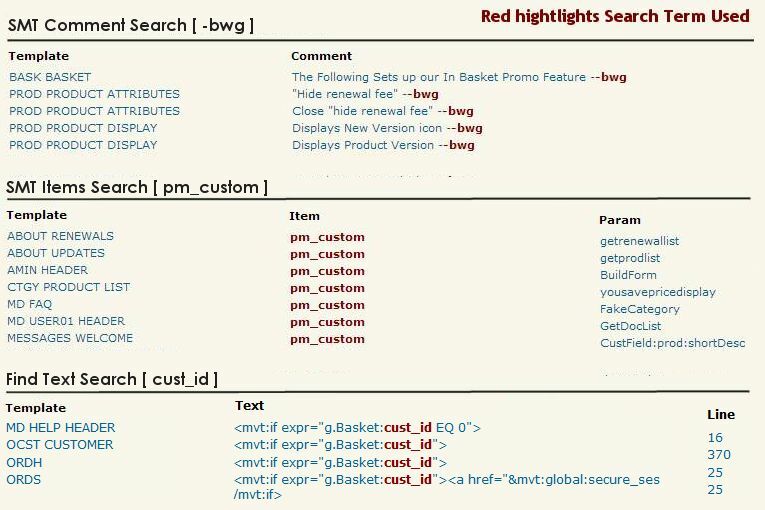 If you have ever used SMT (Store Morph Technology) Items such as those found in PCI Net's Tool Belt or Emporium Plus's Tool Kit, you know how powerful SMT Code can be. But one downside to using these powerful tools is remembering where these they were used. 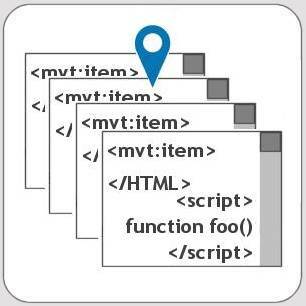 With Template GPS you now have an easy way to locate these items--along with comments OR ANY text--in seconds. Easily Locate SMT Items to remove, update or copy and use elsewhere. Find a specific SMT Comment or view ALL of them. Find where a word or phrase exists in any template. Includes the exact line number and the search term in 'context' with surrounding content. (See Template GPS Search below). Works with all Miva Merchant 9.x stores.